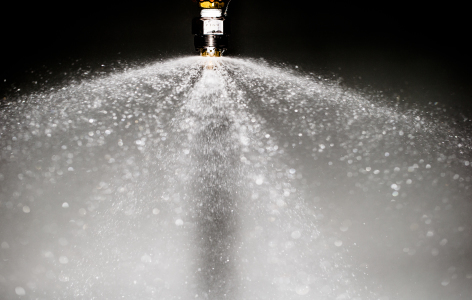 By the NFPA 750 definition, watermist is a water spray for which the 99% of the total volume of liquid (Dv0.99) is distributed in droplets with a diameter smaller than 1000 microns at the minimum design operating pressure of the water mist nozzle. 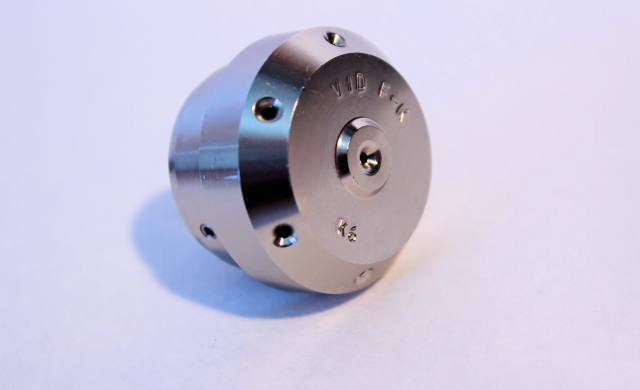 Following the CEN/TS 14972 definition, watermist is a water spray for which the 90% of the total volume of liquid (Dv0.90) is distributed in droplets with a diameter smaller than 1000 microns at the minimum design operating pressure of the water mist nozzle. What does the definition actually mean? 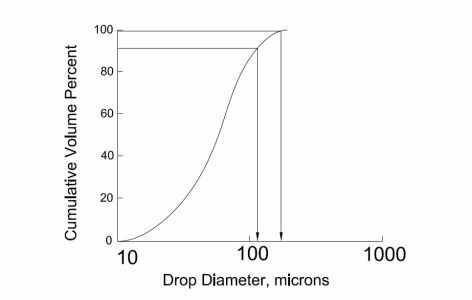 The droplet size was in the early watermist stage seen as an important tool to categorize watermist since people thought that droplet size and the firefighting performance was correlated. Therefore the oldest standards and codes differentiated watermist systems depending on the system droplet size, and demanded that droplet sizes where measured. This is not the case in any updated codes and standards, since it is long proven that only full scale fire testing, and not droplet sizes, will show whether a system can cope with a certain risk or not. The reason people thought that there was a correlation was because watermist showed remarkable results in machinery enclosures where the small water droplets easily could evaporate and become inert gas (water steam) due to the heat created by the large fires and extinguish any fires as a gas system fast and efficient. Empirical test evidence however show that a mixture of many different size droplets can do the same in enclosures and provide even better results in deep seated Class A fires. For the same reason watermist systems shall always be chosen based on positive testing results and approvals, and not droplet sizes alone. Watermist spray with 8 bar water pressure. Watermist can also be seen as a way to develop new products optimized to its use without having to follow existing product standards, e.g. optimizing a conventional sprinkler for ordinary hazards would simply not be possible due to requirements in sprinkler standards such as 5 mm/min density and 12m2 spacing, but calling the optimized product “watermist” makes it possible to reduce density and increase spacing as long as successful testing has been conducted. Following this mindset, watermist can be seen as the natural development of more conventional fire protection technologies such as sprinklers.